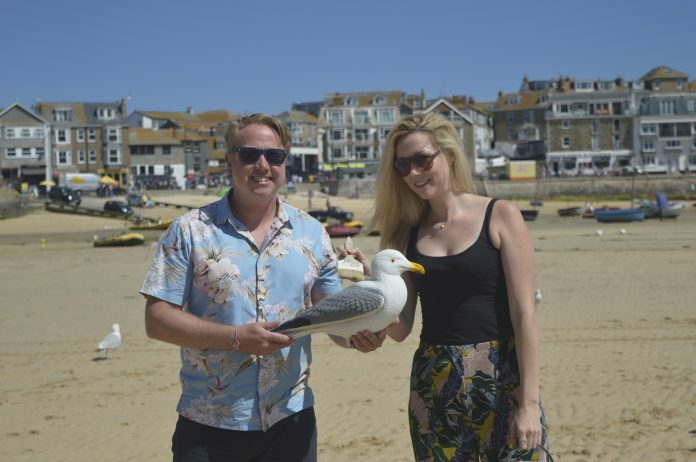 A colourful Seagull Trail around the Cornish seaside town of St Ives is being launched this summer as part of a campaign to help educate people about seagulls and how best to live alongside them. Maps showing the locations of the gulls will be available to pick up from local businesses, so people can follow the trail to spot all 12 of the brightly painted seagulls. Each will be accompanied by a letter, and these 12 letters will spell out a phrase which can be written onto the space featured on the trail map.